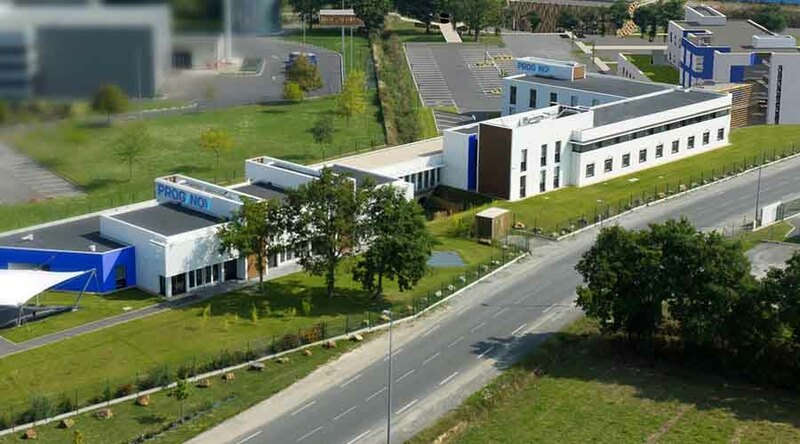 Created in 1996 by Michel Martin, with Dominique Sevesque, Patrick Auger and Hervé Louis soon joining in the adventure, Proginov is located in La Chevrolière, south of Nantes, France, and currently has more than 250 employees. Management software (ERP) publishing has been at the heart of Proginov's business since it was founded. Its application suite is based around commercial and industrial management, accounting and finance, payroll and HR. With each new version, Proginov enhances its ERP system with additional modules and applications in response to the requirements of sectors including commerce, industry, agri-food, distribution and logistics, construction, timber, woodwork, textiles, automotive, quarries and sand pits, points of sale, e-commerce and health. To date, 1200 SMEs use the Proginov ERP system in France and abroad. In 2001, Proginov achieved a first in France by developing and marketing the first hosted management solution for SMEs. Its status as a Cloud Computing host brings it genuine added value, making it the leading ERP software publisher in France. Proginov's strategy of remaining financially independent is one of the keys to its sound social and financial health. The €3,200,000 capital is fully owned by Proginov's directors and employees on a voluntary basis. Over 85% of employees are shareholders. Similarly, Proginov owns all of its infrastructure and 8,000 m2 premises. The management team consists of Philippe Plantive as Chairman of the Board of Directors, Xavier Bossis as Managing Director and Michel Martin, Dominique Sevesque, Hervé Louis, Patrick Auger, Jean-Etienne Boussaud as Deputy Managing Directors. The Board of Directors has 12 members, all active in the company.